Philly’s The Chris Paterno Band’s self-titled EP releases this Friday and it is acoustic indie soul at its finest. Throughout the breezy six song collection, the band creates a live, party atmosphere and not just through the brief bit of crowd noise heard on “Pressure”. The Chris Paterno Band instead plays with a lively, loose energy that punctuates the album’s grooves with exhilarating moments of emotion that seem pure and organic, as if the result of some improvised jam session. 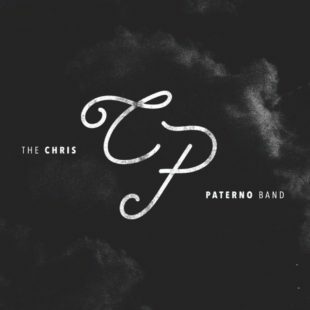 The Chris Paterno Band’s eight-member roster comes complete with a horn section and mandolin and this EP allows each musician and instrument to shine. Whether it’s the delicate piano and glitchy percussion of “Farther (We Grow)”, the harmonica and sweet strings on “Lover, When You Gonna Come?”, or the African vocal touches and lead vocal effects of “Sweet Thing”, The Chris Paterno Band combines a variety of production and musical styles to create a rich experience all its own. With their debut EP, The Chris Paterno Band don’t so much reinvent a genre as they do fashion their own unique one from the best parts of the last few decades of folk, rock, and pop, updating Philly soul for a whole new era. The Chris Paterno Band’s debut EP The Chris Paterno Band will be released tomorrow and is available for pre-order now. You can follow Chris Paterno on Facebook, Twitter, Instagram, SoundCloud, and on their website at www.chrispaternomusic.com.